﻿﻿﻿﻿﻿ Teaming up with @voMethod on this one. Mr. Seth Gibson offered some help and extra content for my GDC Power Python talk. Unfortunately, I was limited to 50 minutes so I did not get time to illustrate some great examples he offered. Now we have the time, so here is a nice piece on subclassing PyMEL nodes.
""" this is an example of how to create your own subdivisions of existing nodes. """ 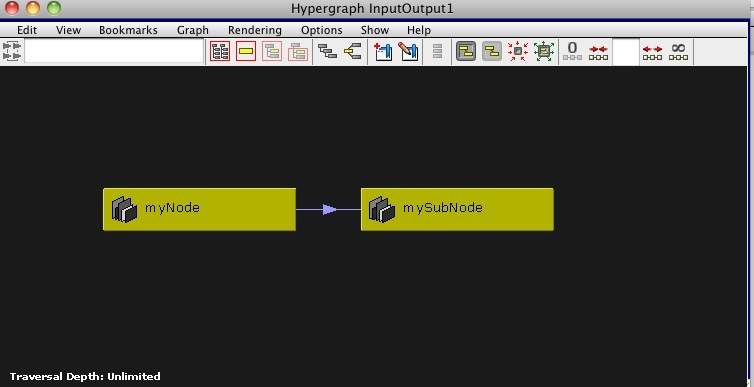 """ Returns all instances the node in the scene """
Line 5 creates a class that inherits from PyMEL’s Network class which is a generic Maya node made for holding metadata in Maya’s Dependency Graph. """PyMEL code should not be used inside the callback, only API and maya.cmds. """ This method defines the test case for PyMEL to see if your node comes back as the type you’re defining via an ‘isinstance’ test. In this case, Seth created a custom attr caleld myString and defined it with ‘virtualNode’. This is an internal signifier on the node that it is of our ‘MyVirutalNode’ class. """This is called before creation. python allowed.""" """ This is called after creation, pymel/cmds allowed. Treat newNode as self.""" We have a pre- and post-creation method and several utility methods that are attached to our new class.
""" Returns all instances of all characters in the scene """
""" This is called before creation, pymel/cmds allowed.""" This is very similar except the _isVirtual method tests for a special attribute called mySubNodeType. The _postCreateVirtual method first runs MyVirtualNode’s _postCreateVirtual, then adds its custom attr to it. So go ahead and subclass away. Embrace PyMEL’s potential. Thanks Seth for sharing more of PyMEL’s awesomeness. Too bad I couldn’t squeeze it into the talk, but those of you who really care about this stuff made your way here afterall. Get the scripts in Downloads. I can’t seem to get a virtual class to work on a Transform node. it won’t call _preCreateVirtual.